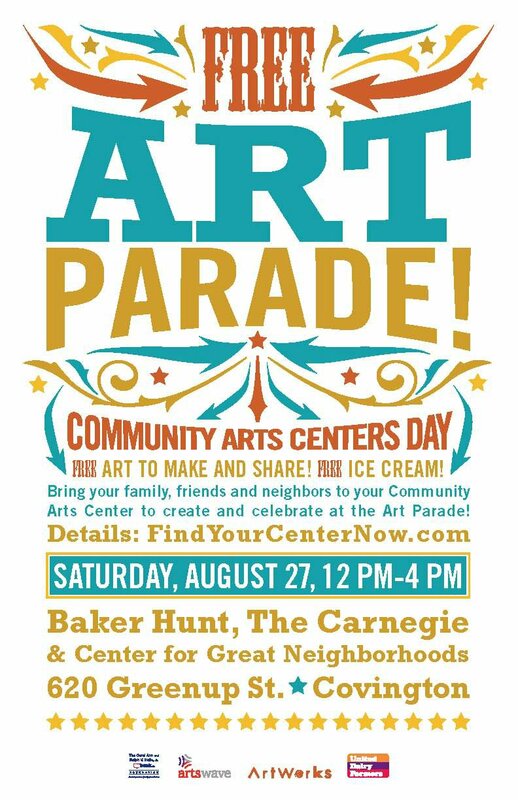 The Baker Hunt Art & Cultural Center is located in Covington, and is a wonderland for all those who love to create, design, express themselves in unique ways, be surrounded by beauty or learn new skills. Baker Hunt has a long rich history when it comes to the arts. 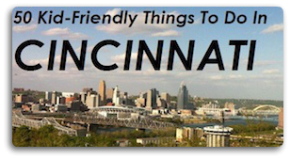 According to their website, “The Baker Hunt Art and Cultural Center is named for Margaretta Baker Hunt, who established the Baker Hunt Foundation in spring of 1922, to encourage the study of art, education, and science and to promote the good works of religion in Covington”. For generations people of all ages in our area have been taking classes at Baker Hunt. And it’s not just art classes…Baker Hunt has a myriad of classes to choose from. They offer a variety of art classes, cooking, belly dancing, writing, photography, architecture, yoga, ballroom dance, and much more. Baker Hunt also has many classes designed to meet the needs of students who are homeschooled. My eight-year-old Ella has been taking classes at Baker Hunt for a few years now, she has taken quite a few different classes, and she loved each one of them. As a matter of fact, when it came time to choose one for the fall (our schedules will only allow for one class per week during the school year), she had a terrible time choosing. She took a couple days to finally decide what to take. Looking through their list of courses, several caught my eye. I would love to take a class on using my DSLR camera, but time will not allow right now. In a few years, when the kids are a bit older I intend to enroll myself in classes there. I think that the prices for the classes are quite reasonable, considering the length of the sessions, and how many masterpieces she has come home with. They also have scholarships available. Ella has been so proud of each piece of art she has brought home from her classes at Baker Hunt, and we always display them in special places around our house. The teachers that Ella has had at Baker Hunt have all been wonderful. They are enthusiastic about what they are teaching, and know how to inspire the children to be creative. Over the summer both Ella and Max took Art from Around the World with Ms. Judy. They not only made spectacular pieces of art, but Ms. Judy taught them about other cultures while they worked. Side note: While our family has loved all of the teachers at Baker Hunt, I’ve known Ms. Judy for years (from my days of teaching), and I adore her. She has never-ending patience, a passion for art, and is a fabulous educator. While Ella & Max were in class this summer I would take the younger two boys for walks around Covington. After our walks we would come back to Baker Hunt and rest in the gardens. Well, Mama would catch her breath, the boys would explore the gardens. I found the gardens at Baker Hunt to be such a peaceful place to read, chat with the kids, take pictures (I even took our Christmas picture of the kids on their grounds), or even just daydream. So if you are looking for a place for your child to grow & learn and be creative, you should check out Baker Hunt. They really do have something for everyone, and you need not be an expert artist to apply. 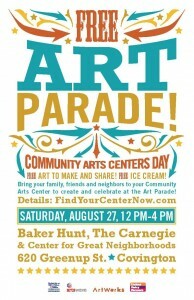 Community Arts Parade – August 27 2011 – 12:30-5:00 – A gathering of many arts centers at Baker Hunt to put on a fun parade. Come make costumes, instruments and more and then march in the Arts Parade! Fall Classes – beginning September 12th, so don’t delay, register today!